2016 is proving to be the year of the Panda in more ways than one. 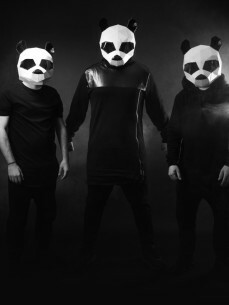 Music wise the Panda’s are celebrating their first Armada release with Tomcraft - Loneliness (Pink Panda Remix) which is currently No.2 in the Armada Spotify streaming chart. Following this they have original releases scheduled with Release Records, Spinnin & Warner Sweden (Aug, Sep, Oct), not to mention remixes coming on Sony RCA, Armada and Cr2 Records. The Panda’s continue with shows penned for India, Sweden & Asia in the next Quarter and continue their long standing relationship with MOS London with a new monthly residency @The Gallery, starting Aug 5th alongside Tommy Trash.